What Is a Good Stride Length for Ellipticals? The right stride length for an elliptical depends on your height. Elliptical machines provide a great low-impact, full-body cardiovascular workout. They are less likely to hurt your joints than a treadmill, and just as effective at burning calories. Plus, they provide strength conditioning while you work out, so you won't necessarily have to spend extra time on weight lifting. 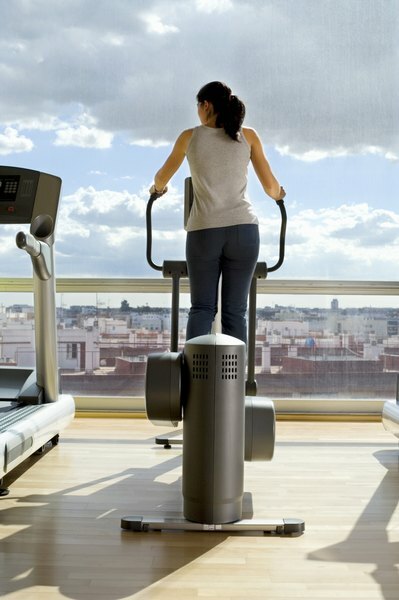 But in order to reap the benefits of an elliptical workout, you'll need a machine that accommodates your height. This is where stride length comes in. Stride length is exactly what it sounds like: The distance between each foot pedal at full stride. If you're very petite, say, 5 feet, 3 inches or shorter, a smaller stride length of just 16 to 18 inches should be comfortable for you. At this length, you should be able to maintain fluid, comfortable strides that don't hurt your knees or lower back. Plus, the shorter stride length will provide a great workout for you. If your height is higher than 5 feet, 3 inches but shorter than 5 feet, 7 inches, you've got some wiggle room and should try different stride lengths to figure out which works best. If your movements feel choppy and awkward at a 16- to 18-inch stride length, you'll need to increase to 20 or 21 inches. If you're new to exercising and the shorter stride length feels comfortable for you, then feel free to keep using it. But keep this in mind: When you start getting into shape, the longer stride length will be more comfortable and provide a better workout. If you're 5 feet, 7 inches or taller, you'll definitely need the 20- or 21-inch stride length, at least. A shorter stride length will throw your body out of alignment, and strain both your joints and lower back. Most gyms buy elliptical machines with a 20- or 21-inch stride length so as to accommodate taller people. Some newer machines have an adjustable stride length, so you can experiment with longer stride lengths for a more rigorous workout. The other measurement to watch is the width between foot pedals. If the pedals are too close together, your knees will start hitting against each other. Plus, the strides will force you to lean forward or hunch over -- and bad posture can hurt your joints and back. There's no exact measurement to guide you on foot pedals; just try out a few different machines before you buy. Make sure you find a machine that enables you to stand up straight and practice good posture. Mayoclinic.com: Elliptical Machines - Better than Treadmills? Health and Fitness Experts: Elliptical vs. Treadmill - Which Is Best? Fitsugar.com: You Asked - Cardio for Bad Knees? Damien Howell Physical Therapy: Elliptical Exercise Machine - What Do We Know? 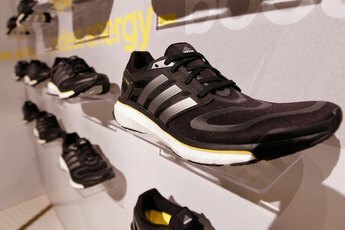 What Is Considered an Aerobic Shoe?